Click on the SHIP NOW! button for the number of bottles you wish to ship. In just a few minutes of your precious time, you can arrange shipment of your wine to every corner of Europe to arrive on time and undamaged: helping you expand your business or simply to have your wine in the hands of those you care about. Wine and spumante up to 14° in 0.75 litre bottles can be shipped that are labelled and produced by duly licensed companies. You cannot send home-made wine, alcoholic beverage or any other liquids. The shipment must only contain wine or spumante, but no other types of goods in the same consignment. 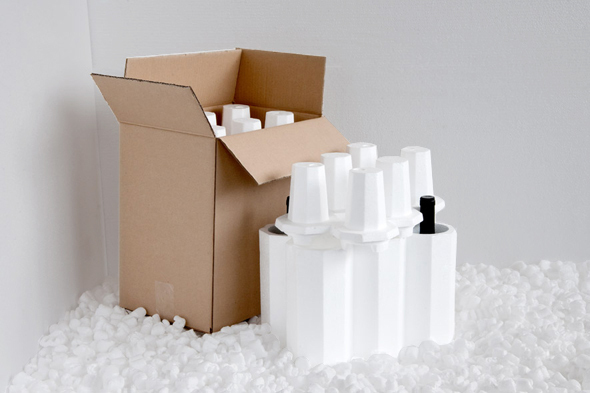 The wine must be packed in containers that are suitable for transportation, and each box should contain no more than 6 bottles. (i.e., If you wish to send 15 bottles of wine, you will need to use 3 boxes, 2 containing 6 bottles and 1 containing 3 bottles). If you do not use suitable containers to transport your wine then they will traverse Italian but with a higher probability that the bottles may break, but before leaving Italy our logistics partners will put your bottles in containers suitable for transportation at no extra charge. Choose the number of bottles of wine to ship in Europe and have them packed in packages of 6. Complete the form with details of the sender, recipient, and collection date. Securely pay with PAYPAL or credit card. You will receive the shipping labels (1 for each package) by email, which must be affixed to each package of wine. Our Express Courier will collect from the sender’s address on the requested date. (The labels you receive will show the address of our Italian distribution centre, where your shipment will arrive before leaving Italy). Our Express Courier will deliver your conisgnment to the destination address within 72h*. ** The 72h delivery time is indicative and not binding – it is based on our average delivery times from major commercial centres within Italy and continental Western Europe. Please contact Customer Support in advance for prevailing delivery times. Please contact Customer Services for infomration on current delivery times to the city/country you wish to ship your wine to.